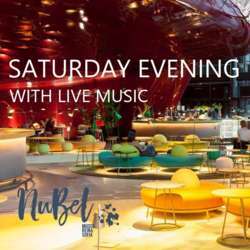 We are pleased to invite you to our first evening Event at NuBel, starting at 17:00h! Enjoy live music entertainment especially organized for you, meet expats and global minds at our most beautiful venue and let us introduce you to new members from all over the world. We are looking forward to present you our new Ambassador, Lisa Seiffert, at this event. Don´t hesitate to sign up now for a great Saturday evening!